For other people named Charles Davenport, see Charles Davenport (disambiguation). Charles Benedict Davenport, ca. 1929. Millia Crotty, Jane Joralemon, Charles Benedict, Jr.
Charles Benedict Davenport (June 1, 1866 – February 18, 1944) was a prominent American eugenicist and biologist. He was one of the leaders of the American eugenics movement. Later on, Davenport became a professor of zoology at Harvard. He became one of the most prominent American biologists of his time, pioneering new quantitative standards of taxonomy. Davenport had a tremendous respect for the biometric approach to evolution pioneered by Francis Galton and Karl Pearson, and was involved in Pearson's journal, Biometrika. However, after the re-discovery of Gregor Mendel's laws of heredity, he moved on to become a prominent supporter of Mendelian inheritance. In 1904, Davenport became director of Cold Spring Harbor Laboratory, where he founded the Eugenics Record Office in 1910. During his time at Cold Spring Harbor Laboratory, Davenport began a series of investigations into aspects of the inheritance of human personality and mental traits, and over the years he generated hundreds of papers and several books on the genetics of alcoholism, pellagra (later shown to be due to a vitamin deficiency), criminality, feeblemindedness, seafaringness, bad temper, intelligence, manic depression, and the biological effects of race crossing. Before Charles Davenport came across eugenics, he studied math. He came to know these subjects through Professors Karl Pearson and gentleman amateur Francis Galton. He met them in London. Upon meeting them, he fell in love with the subject matter. In 1901, Biometrika, a journal, which Charles Davenport was a co editor of, gave him the opportunity to use the skills that he has learned. Davenport became an advocate of the biometrical approach for the rest of his life. He began to study human heredity, and much of his effort was later turned to promoting eugenics. His 1911 book, Heredity in Relation to Eugenics, was used as a college textbook for many years. The year after it was published Davenport was elected to the National Academy of Sciences. Davenport's work with eugenics caused much controversy among many other eugenicists and scientists. Although his writings were about eugenics, their findings were very simplistic and out of touch with the findings from genetics. This caused much racial and class bias. Only his most ardent admirers regarded it as truly scientific work. During Davenport's tenure at Cold Spring Harbor, several reorganizations took place there. In 1918 the Carnegie Institution of Washington took over funding of the ERO with an additional handsome endowment from Mary Harriman. In 1921 he was elected as a Fellow of the American Statistical Association. Davenport founded the International Federation of Eugenics Organizations (IFEO) in 1925, with Eugen Fischer as chairman of the Commission on Bastardization and Miscegenation (1927). Davenport aspired to found a World Institute for Miscegenations, and "was working on a 'world map' of the 'mixed-race areas, which he introduced for the first time at a meeting of the IFEO in Munich in 1928." Together with his assistant Morris Steggerda, Davenport attempted to develop a comprehensive quantitative approach to human miscegenation. The results of their research was presented in the book Race Crossing in Jamaica (1929), which attempted to provide statistical evidence for biological and cultural degradation following interbreeding between white and black populations. Today it is considered a work of scientific racism, and was criticized in its time for drawing conclusions which stretched far beyond (and sometimes counter to) the data it presented. Particularly caustic was the review of the book published by Karl Pearson at Nature, where he considered that "the only thing that is apparent in the whole of this lengthy treatise is that the samples are too small and drawn from too heterogeneous a population to provide any trustworthy conclusions at all". The entire eugenics movement was criticized for being supposedly based on racist and classist assumptions set out to prove the unfitness of wide sections of the American population which Davenport and his followers considered "degenerate", using methods criticized even by British eugenicists as unscientific. 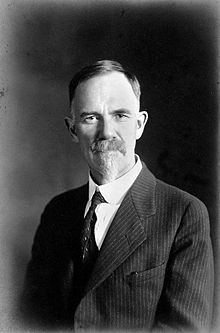 [clarification needed] In 1907 and 1910 Charles Davenport and his wife wrote four essays that pertained to human hereditary genes. These essays included hair color, eye color, and skin pigmentation. These essays helped pave the way for eugenics to be taught in class. Many of the topics and discussions belonged to Dr. and Mrs. Charles Davenport but the information for one essay in particular came from friends of theirs involved in the same topic. Many problems occurred when they started to use other information. As Davenport and other eugenicist professors and experts began to and continued to study more in-depth eugenics, they had to start to come up with original idea so as not to conflict with past ideas. After Adolf Hitler's rise to power in Germany, Davenport maintained connections with various Nazi institutions and publications, both before and during World War II. He held editorial positions at two influential German journals, both of which were founded in 1935, and in 1939 he wrote a contribution to the Festschrift for Otto Reche, who became an important figure in the plan to "remove" those populations considered "inferior" in eastern Germany. In a 1938 Letter to the Editor of Life magazine, he included both Franklin Roosevelt and Joseph Goebbels as examples of crippled statesmen who, motivated by their physical defects, have "led revolutions and aspired to dictatorships while burdening their country with heavy taxes and reducing its finances to chaos." He died of pneumonia in 1944. "I believe in striving to raise the human race to the highest plane of social organization, of cooperative work and of effective endeavor." "I believe that I am the trustee of the germ plasm that I carry; that this has been passed on to me through thousands of generations before me; and that I betray the trust if (that germ plasm being good) I so act as to jeopardize it, with its excellent possibilities, or, from motives of personal convenience, to unduly limit offspring." "I believe that, having made our choice in marriage carefully, we, the married pair, should seek to have 4 to 6 children in order that our carefully selected germ plasm shall be reproduced in adequate degree and that this preferred stock shall not be swamped by that less carefully selected." "I believe in such a selection of immigrants as shall not tend to adulterate our national germ plasm with socially unfit traits." "I believe in repressing my instincts when to follow them would injure the next generation." ^ "Cold Spring Harbor Laboratory". History. Cold Spring Harbor Laboratory. 2010. Retrieved 19 March 2011. ^ Davenport, C.B. (Oct 28, 1921). "Reaserch in Eugenics". Science. 54 (1400): 391–397. Bibcode:1921Sci....54..391D. doi:10.1126/science.54.1400.391. PMID 17735069. ^ Kühl, Stefan, "Die Internationale der Rassisten." Aufstieg und Niedergang der internationalen Bewegung für Eugenik und rassenhygiene im 20. Jahrhundert, Frankfurt/Main 1997, p. 81. ^ Hans-Walter Schmul, The Kaiser Wilhelm Institute for Anthropology, Human Heredity and Eugenics, 1927-1945, Springer Science+Business Media, 2008, p.115. ^ Aaron Gillette, Eugenics and the Nature-Nurture Debate in the Twentieth Century (New York, Palgrave Macmillan, 2007), p. 123-24. ^ Pearson, Karl (1930). "Race Crossing in Jamaica". Nature. doi:10.1038/126427a0. ^ Black, War Against the Weak, p. 99. ^ Kuhl, S. "The Nazi Connection; Eugenics, American Racism, and German National Socialism" (New York, Oxford UP, 1994). ^ "Letters to the Editor". Life. 1938-06-13. p. 2. Retrieved December 10, 2011. ^ Riddle, Oscar (1947). "Biographical Memoir of Charles Benedict Davenport 1866-1944" (PDF). National Academy of Sciences. This page was last edited on 6 February 2019, at 10:02 (UTC).